Rogers,AR , Take exit 85 from US 540 and travel east to 37th Street, then right onto 37th street, continue on to green building. See map below for additional help. Beginners welcome. 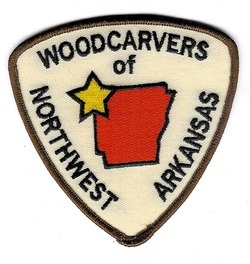 We have some veteran carvers with over 30 years experience and some enthusiastic carvers with just a few years. Want to carve a bird, do a caricarture, chip carve, relief carve, woodburn or just whittle. Come on in and join in. Carving time at Foxfire is Sunday 1 to 3 and Tuesday 11 to 4 .